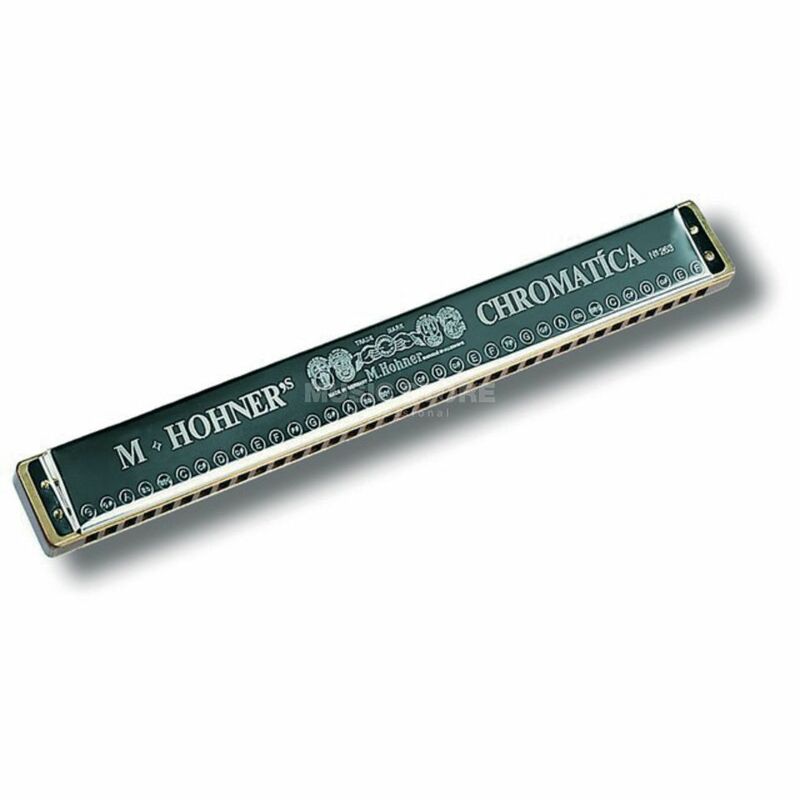 The Hohner Chromatica 263 35-Tone Harmonica is a handmade, professional standard orchestral chromatic harmonica ideal for glissando effects and chromatic tone painting, adding colour to orchestral settings. Hohners‘s orchestral instruments form the backbone of the harmonica ensemble and are suited for both rhythmical accompaniment and special effects. With these instruments, built entirely by hand, this range covers the complete spectrum of accompaniment harmonicas for both classical and modern ensembles.